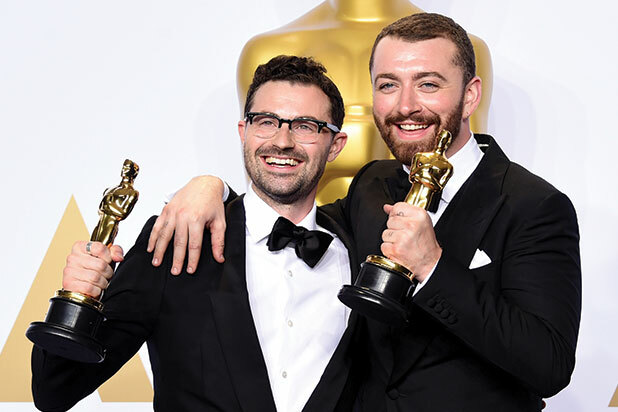 He should be bathing in Oscar glory right now, but instead Sam Smith has woken up to a huge backlash after suggesting he might be the first openly gay man to win an Academy Award. He’s since followed that up by asserting – wrongly – that he is the second. Picking up his Oscar for Best Original Song for Bond theme Writing’s On The Wall, Smith said: "I read an article a few months ago by Sir Ian McKellan and he said that no openly gay man had ever won an Oscar. “If this is the case – even if it isn't the case – I want to dedicate this to the LGBT community all around the world." What McKellen had actually said, in an interview in January, was that no openly gay man had ever won Best Actor. While Smith’s heart might have been in the right place, social media is an unforgiving world. The singer was quickly slapped down by those watching the awards on Twitter, who posted pictures of previous openly gay Oscar winners. Among them was Dustin Lance Black, winner of Best Screenplay for Milk in 2009, who didn’t hold back. Smith is not the first or second openly gay man to win an Oscar. He’s not even the first or second to win best original song. Stephen Sondheim and Elton John both picked up the same award, in 1990 and 1994 respectively. Disney lyricist Howard Ashman, who died of AIDS in 1991 at the age of 40, won two – for Under The Sea from the Little Mermaid in 1989 and a posthumous honour for Beauty and The Beast. If we’re talking about people and not just men, then singer songwriter Melissa Etheridge also won for Best Original Song in 2007 for I Need to Wake Up from An Inconvenient Truth. Outside of his own category, Linda Hunt, Sir John Gielgud, John Schlesinger, Scott Rudin, Bill Condon and Alan Ball are all Oscar recipients. Love all the journalists getting on their high horses about this, when they clearly had to Google who are the other (out?) gay Academy Award winners.